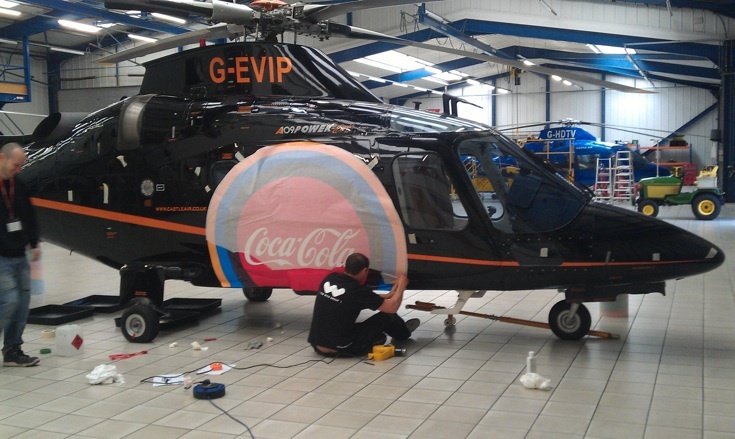 102 Helicopter wrap, commissioned by Wing. 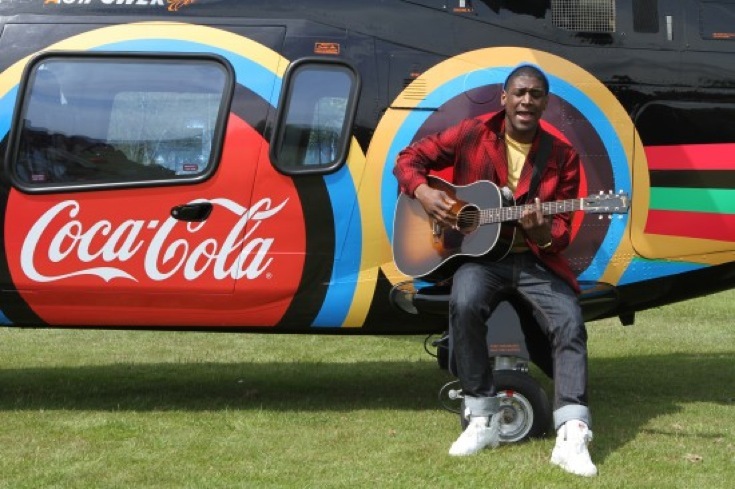 Wing is an award winning creative visual agency based in North London, producing unique high definition, quality media and TV broadcasts with clients such as Lotus, Vodafone McLaren Mercedes, Lloyds TSB, Samsung. 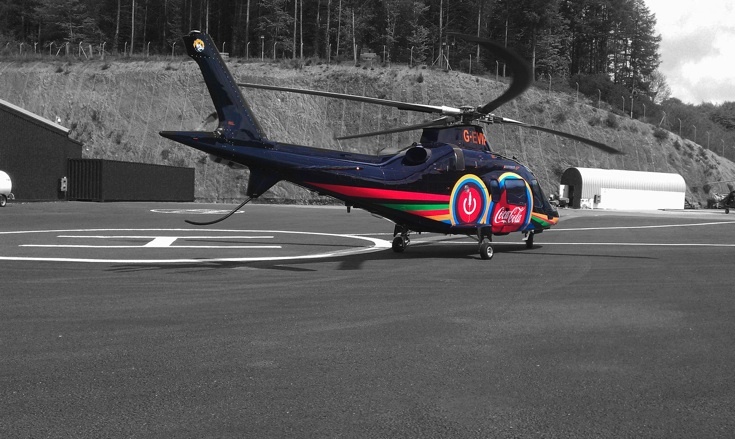 The running sponsor of the Olympic Games and Olympic Torch Relay, Coca-Cola, appointed Wing as one of their production partners for the 2012 Olympic Torch Relay. 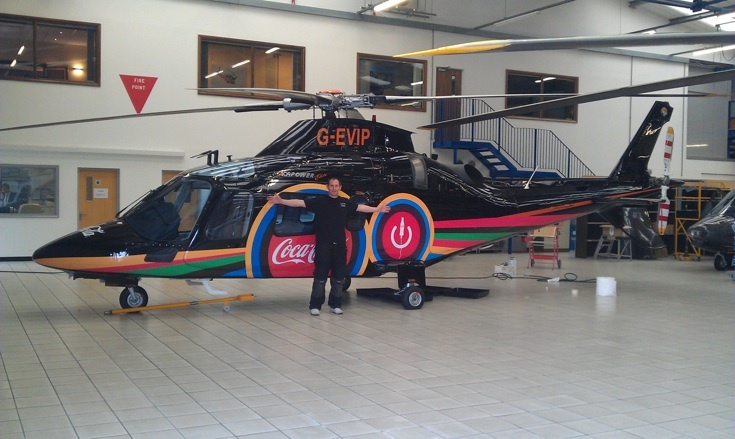 Wing are creating and managing content for Coca-Cola’s digital platforms throughout the Olympic Torch Relay. 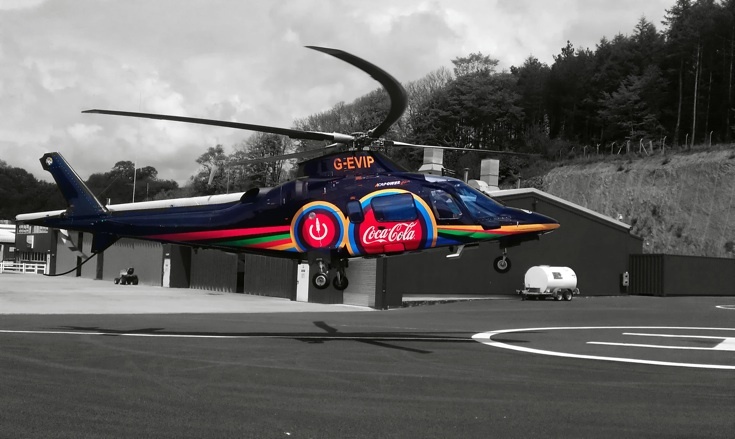 The Wild Group were delighted to be involved in the first of ten online films Wing are creating to highlight the music Coca-Cola are bringing to the relay by branding a VIP helicopter that was used in filming with Labrinth.